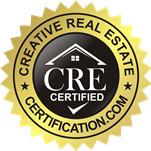 If you need to sell your house fast in the Boston, Massachusetts area, we are here to help. We’ll make you a fair all-cash offer deal right away. We close faster than anyone else, and get the most value for homes as possible, which is why we are the #1 house buyer in the area. We aren’t realtors, so we will not charge you the high fees that come along with using a real estate agent. You pay nothing, so you have nothing to lose! All you need to do is submit a fast cash offer form to get an offer on your home today! We buy houses in Brookline, Somerville, Cambridge, Needham, Dedham, Milton, Medford, Quincy, Braintree, and Everett. If you live in any of these areas in Boston, call us today to get a free, fair, fast-cash offer today.